Oi! 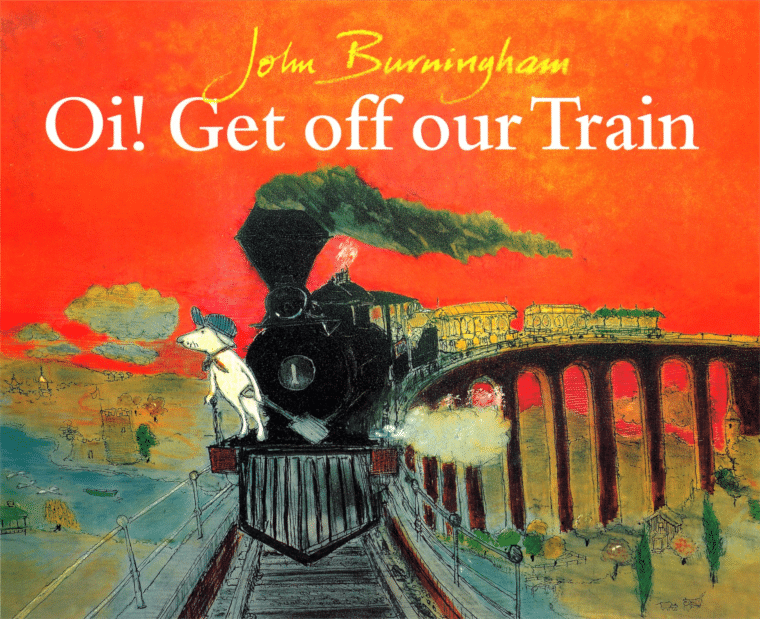 Get Off Our Train is the story of a boy who has a dream about a train ride with his dog. The meet lots of endangered animals along the way. The animals ask to be let on the train because their habitats are at risk. Young children whose first language is not English probably won’t be able to understand this aspect of the story BUT they certainly do think the idea of all the animals joining the train adventure is very funny! This story is a good springboard into topics such as transport, nature and the environment, animals and the weather.